Home » Politics » Why Do We Need the OMB? The Ontario Municipal Board (OMB) has been around for a long time. It was established in 1897 by the Province of Ontario as the “Ontario Railway and Municipal Board”. Its role was to oversee the finances of municipal governments and supervise and coordinate the expansion of the railway system between different municipal jurisdictions in the province. It is not difficult to see why such a body was required at that time. In a seriously under-developed place like the Ontario of the late 1800s municipal councils lacked the sophistication and vision to make decisions on behalf of the entire province. These days the role of the OMB is to hear applications and appeals regarding municipal and planning disputes. These include disputes on matters such as zoning, subdivision proposals, official plans, heritage designations, expropriations and quite a bit more. To mount an appeal to the OMB takes big bucks to pay for lawyers, expert witnesses and all the other mysterious procedures that gobble up money in these hearings. That is one of the major reasons why many appeals are made by developers of large urban subdivisions or commercial developments. Even large councils like those in the City of Toronto cannot often justify the cost of an OMB appeal. So you can imagine where this leaves small councils like those in local townships. Who Does the OMB Represent? As of July 2009 the OMB had 27 members, each appointed by the Provincial Cabinet for an 8 year term. Board members are supposed to be good at dispute resolution, and essentially have the skills of a judge – since that is what they are doing: adjudicating disputes. They are paid between $91,450 and $104,500 per year. The Ontario Municipal Board is one of those quintessentially Canadian administrative bodies that allows appointed officials to override the decisions of democratically elected representatives. While it may be true that local politicians often act on the basis of narrow local interests, it is also true that these people are at least directly accountable to the electorate. The OMB on the other hand is stacked towards favouring corporate and commercial interests and is often criticized for overruling decisions made by local elected councils. 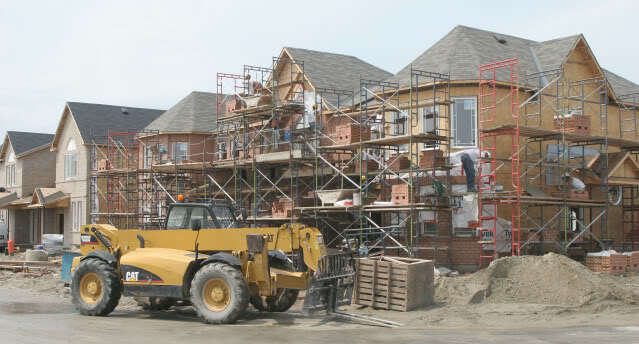 The current McGuinty government in Ontario pledged to reform the OMB, but critics say those reforms have been weak and incomplete.